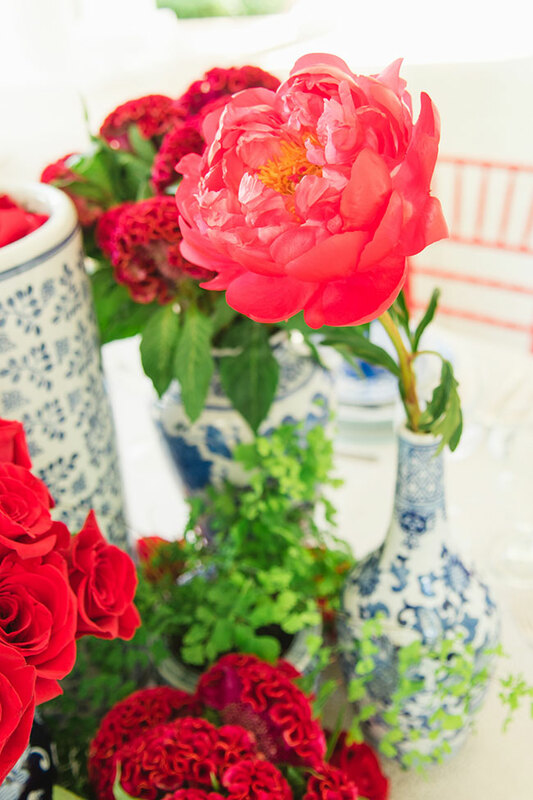 I’ve got to imagine that Patriotic color palettes, no matter what country you’re from, are a delicate thing for anyone to navigate. 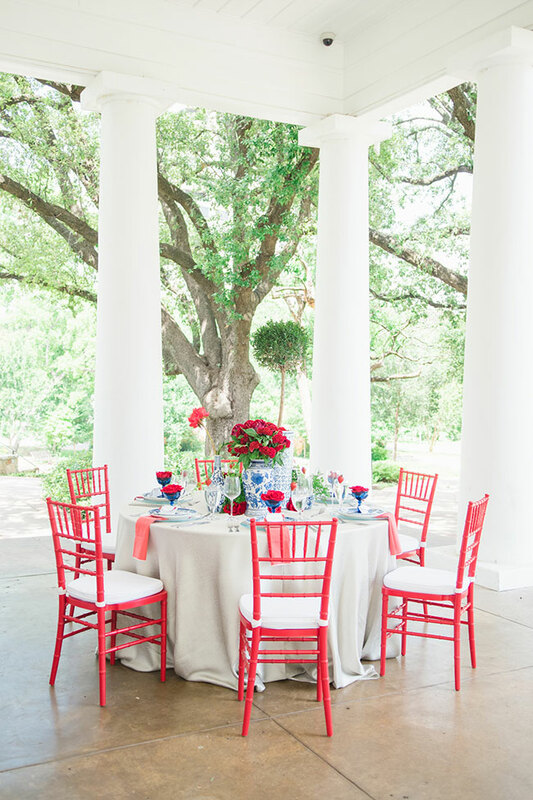 Certain countries, like ours here in the US, have such bold primary colors, that if not handled properly, simply come out screaming! 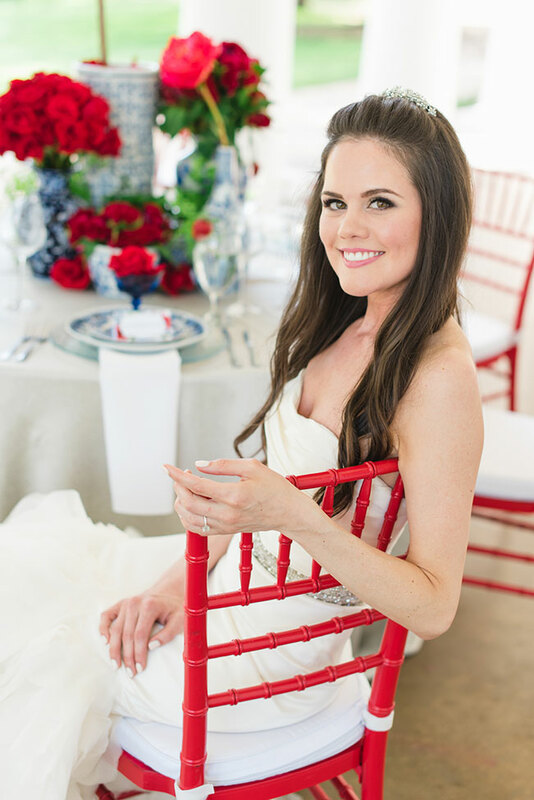 For just that reason, I always get a little extra excited when I see a red white and blue wedding executed with style, grace and the perfect eye for choosing just the right color variations! 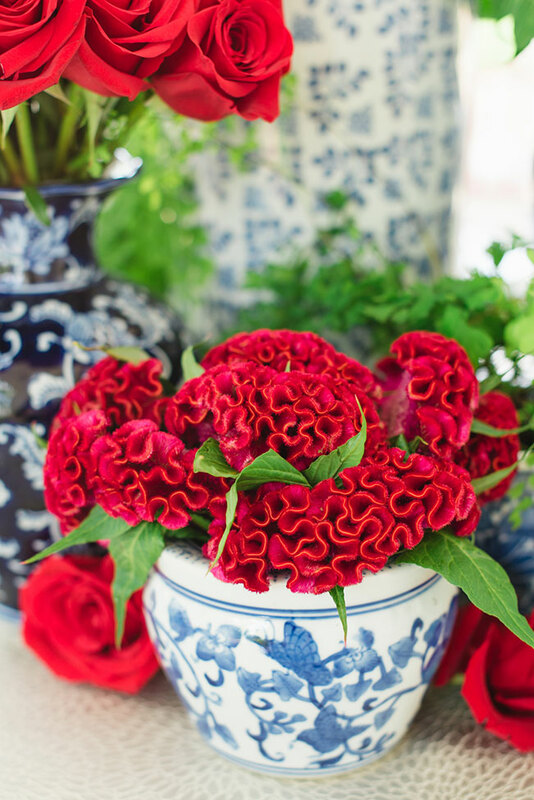 Taking one step left from fire engine primary red, the team of Texas florist The Wildflower and event planner Pop Parties opted to play with fiesta red which they brought to life with ranunculus blooms, cockscomb and roses. 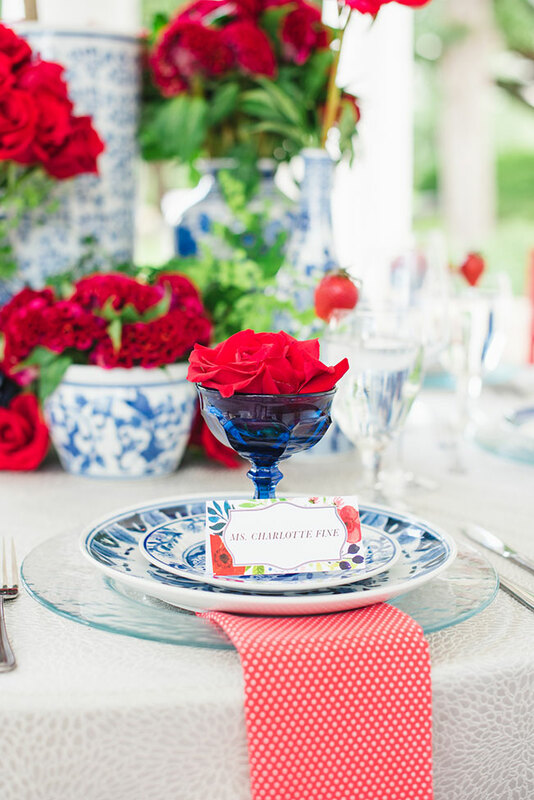 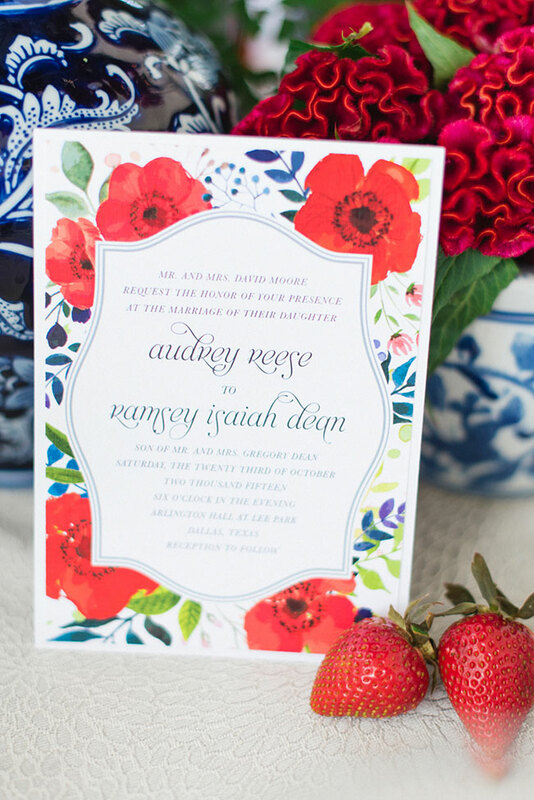 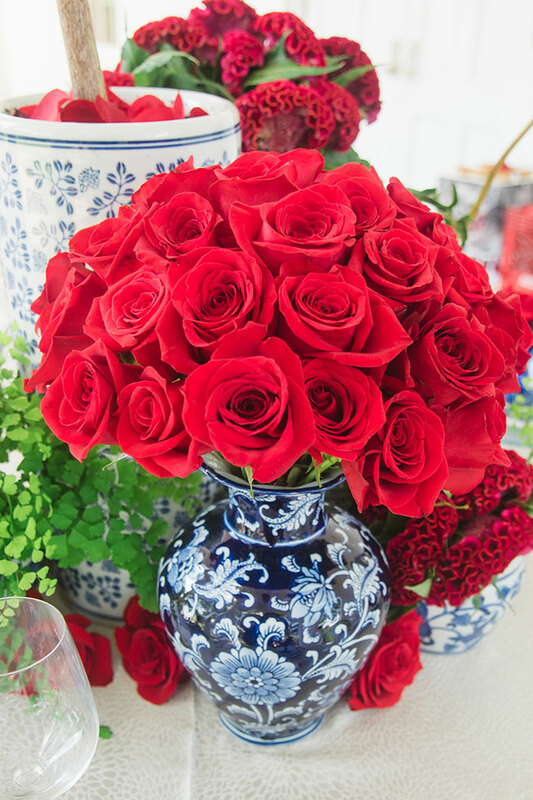 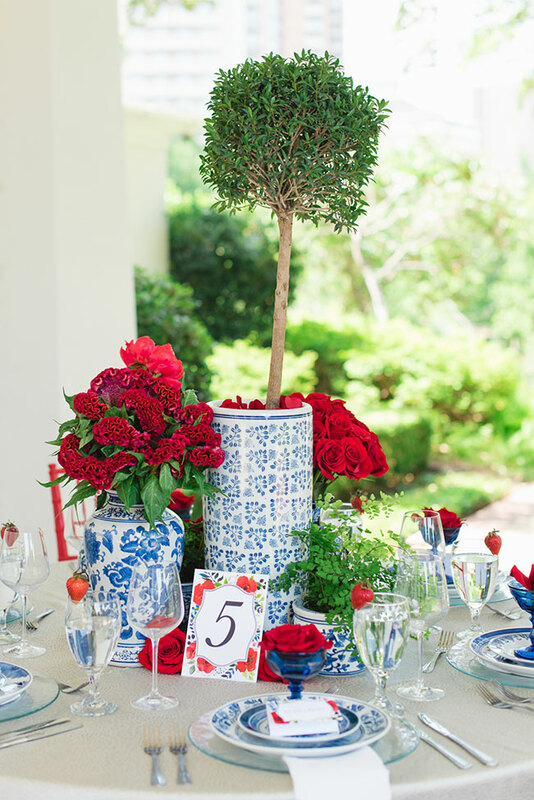 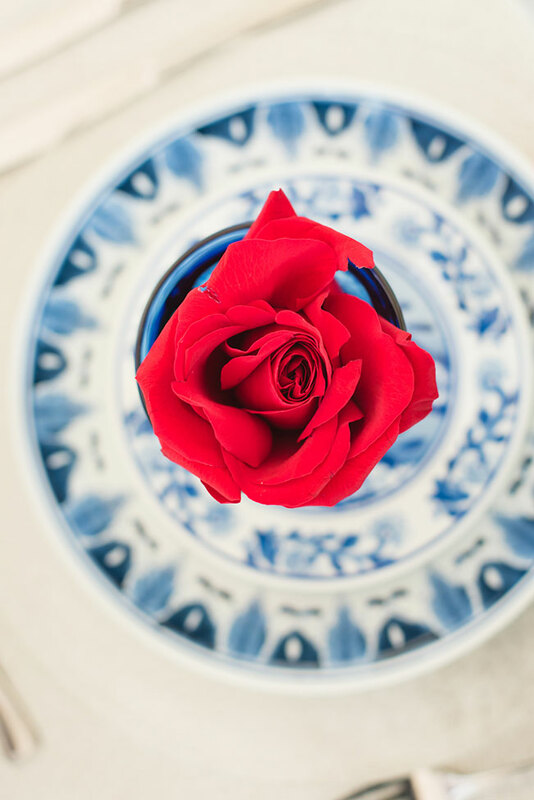 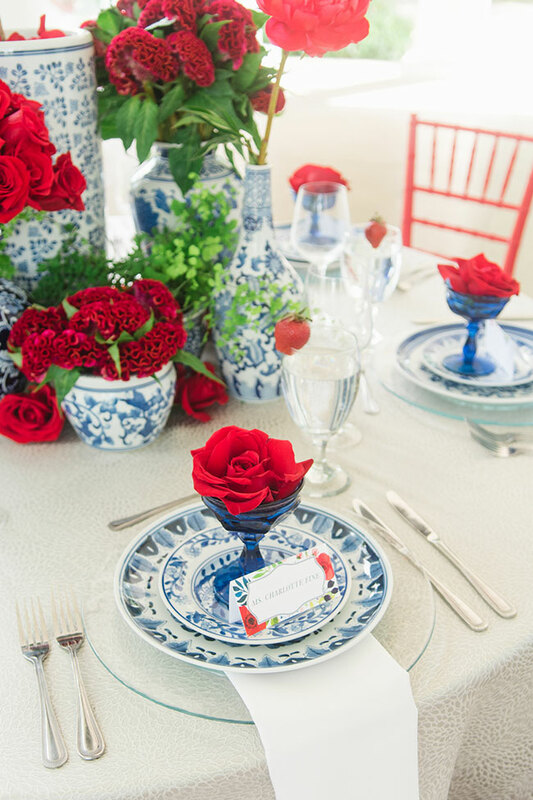 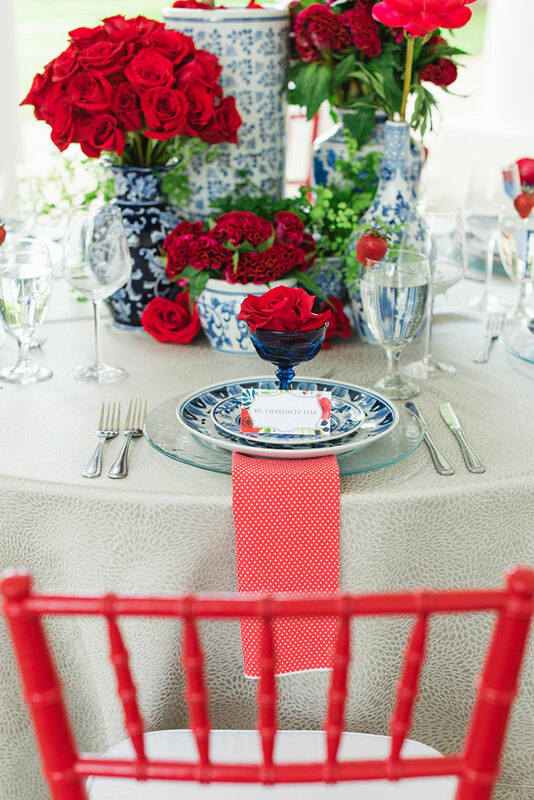 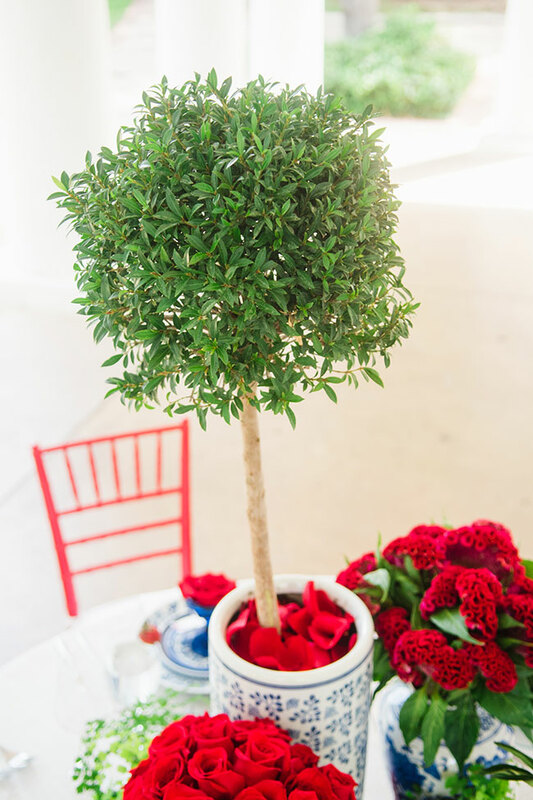 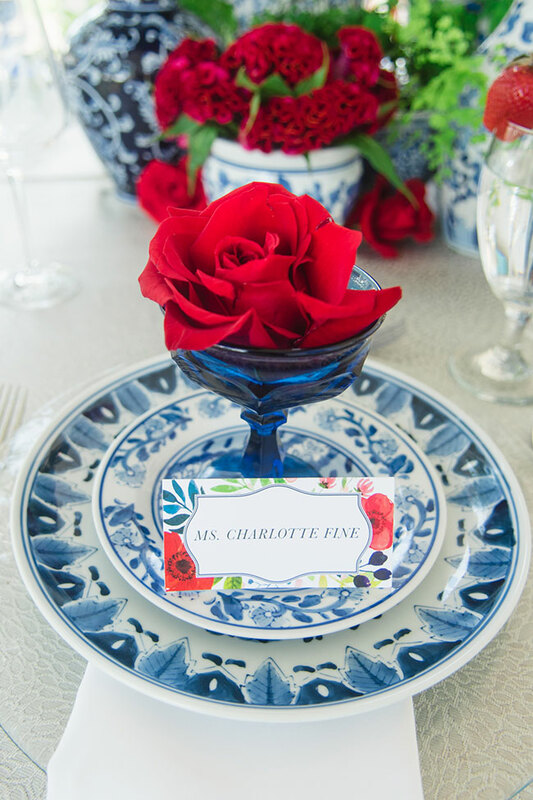 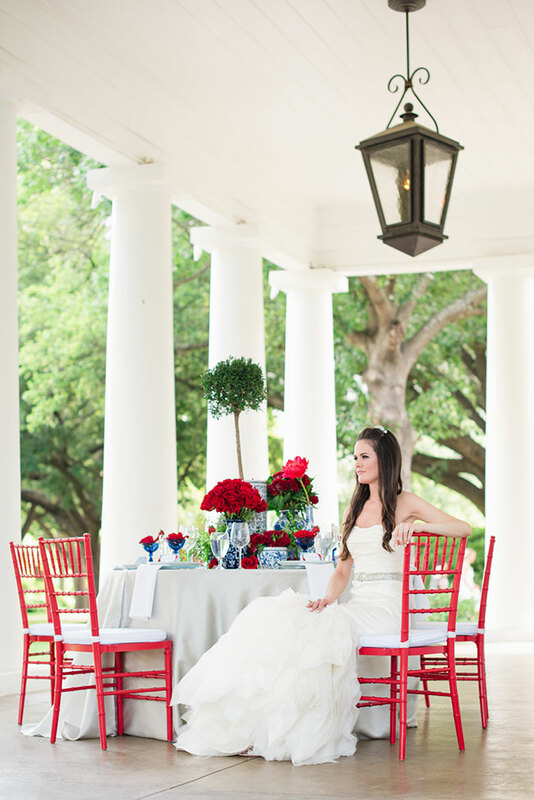 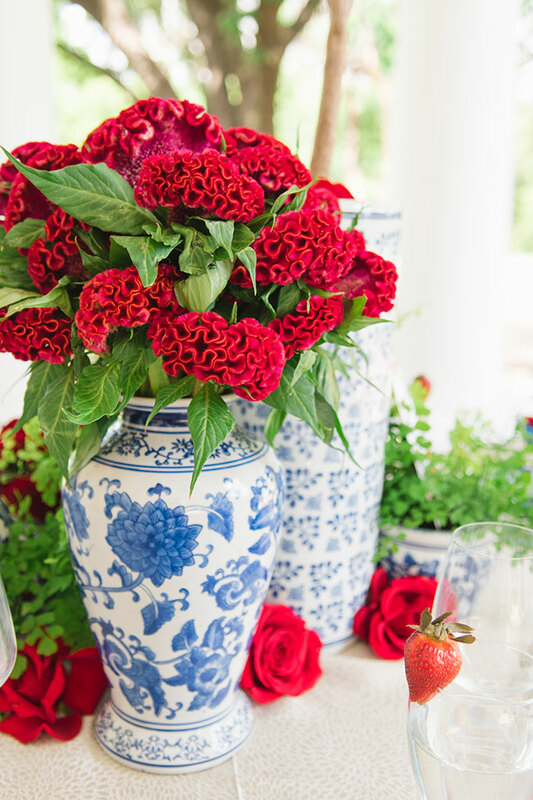 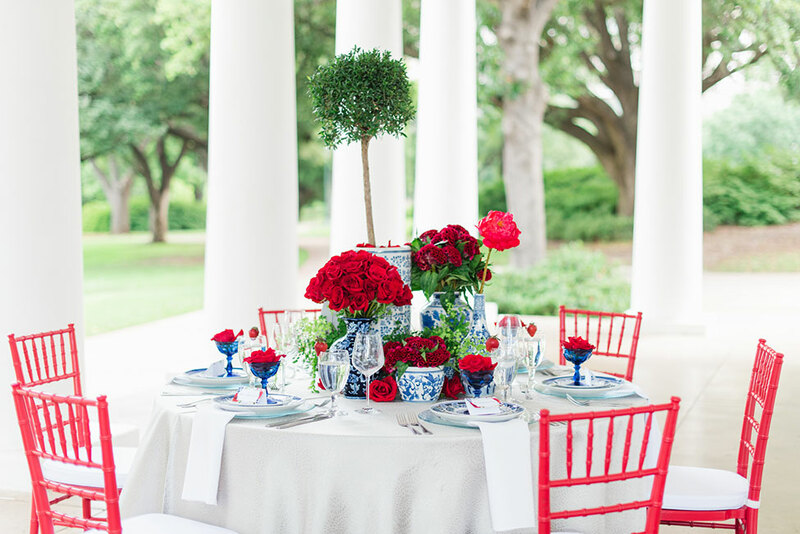 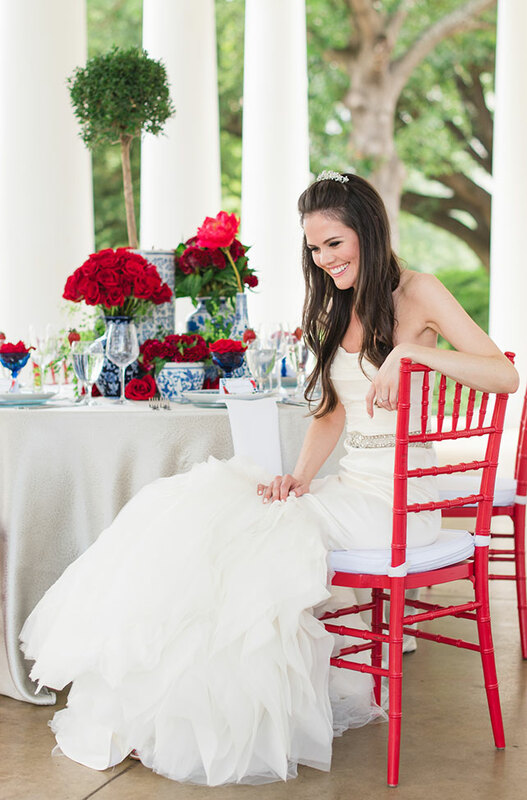 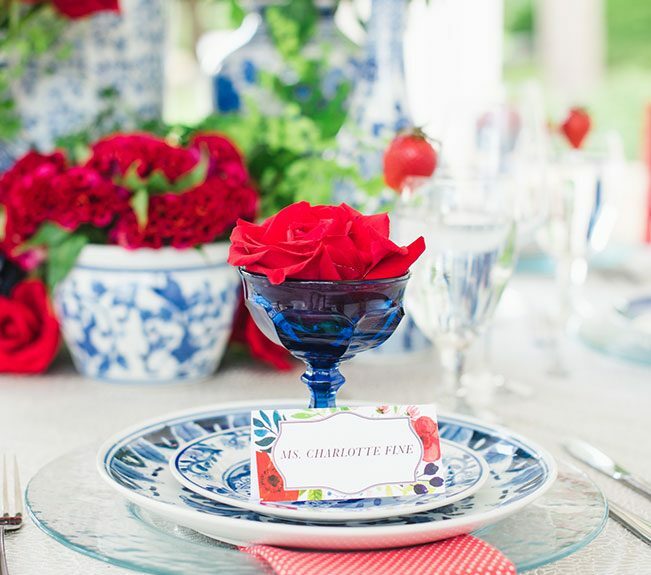 Injecting just the right touch of blue, a mix of blue china and vases were utilized that not only gorgeously paired with the fiesta red blooms but provided elegance and sophistication to the overall look and feel of the red white and blue wedding. 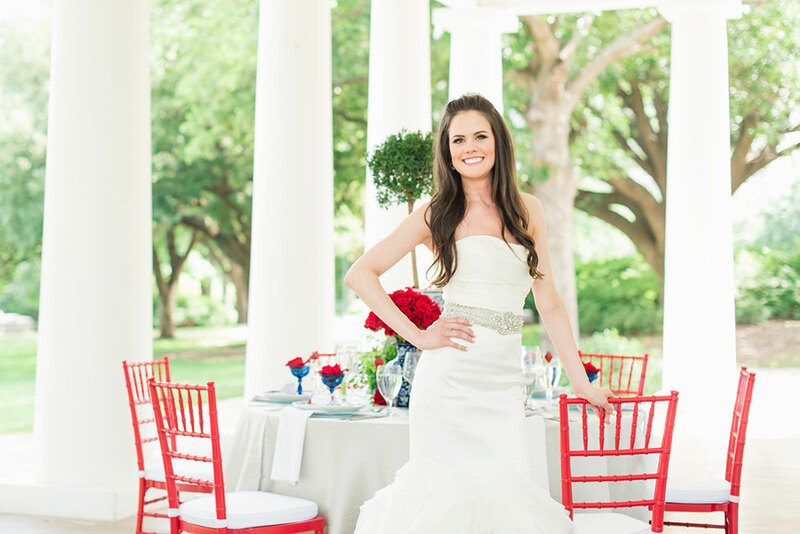 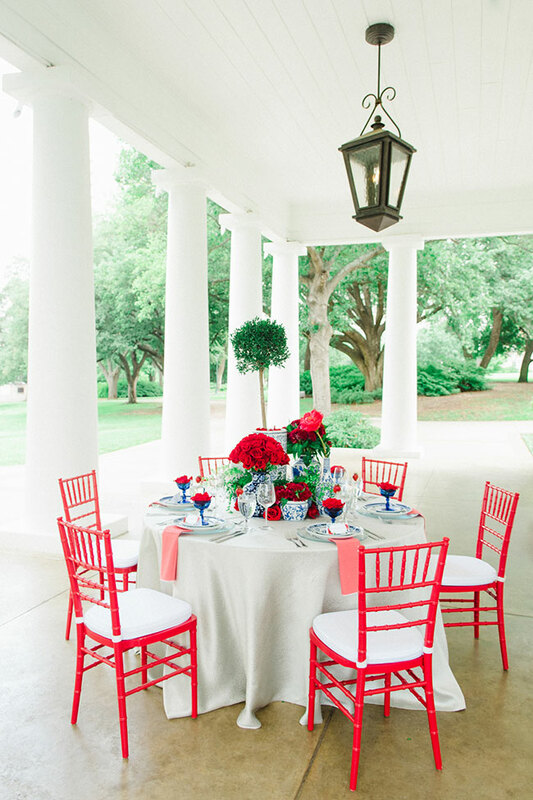 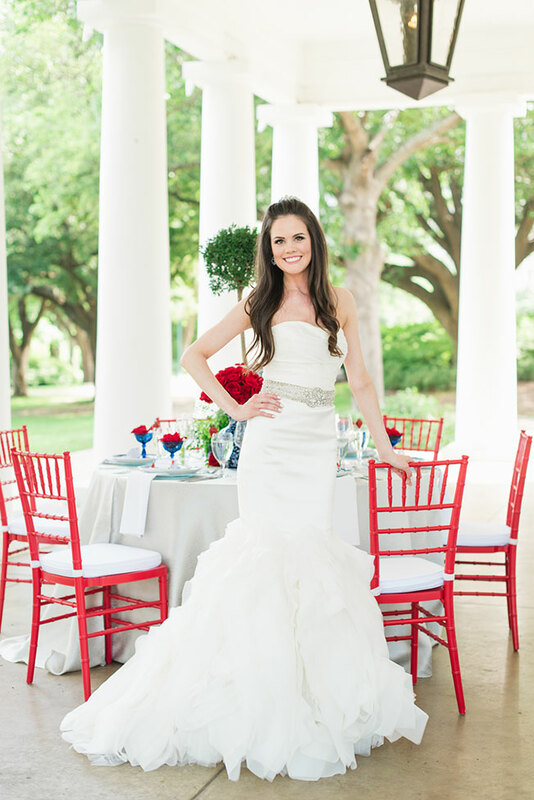 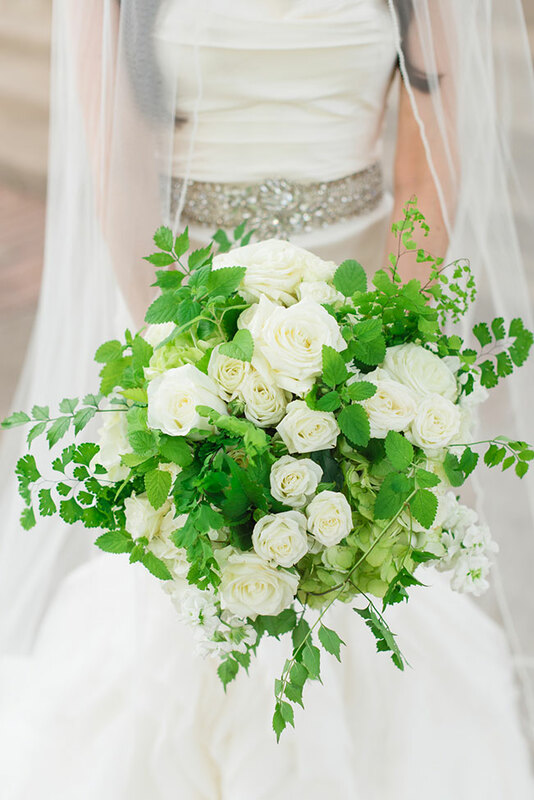 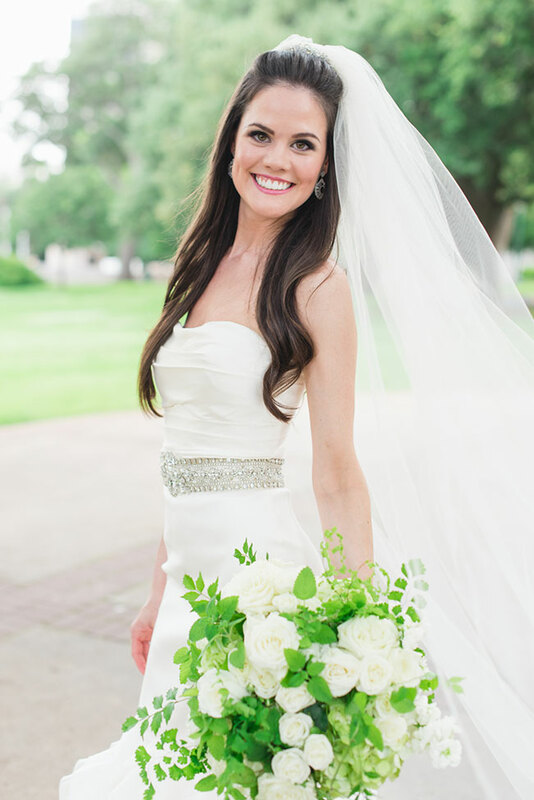 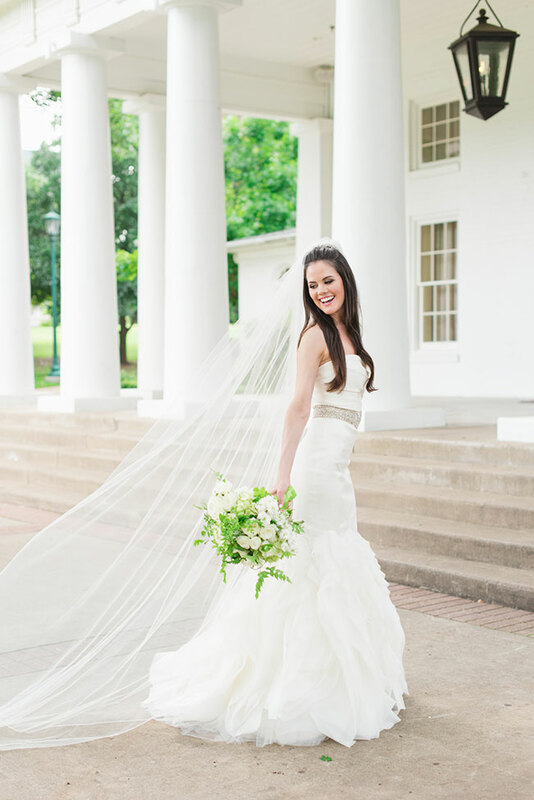 The last piece to the patriotic puzzle was white, always an easy hue to come by in weddings. 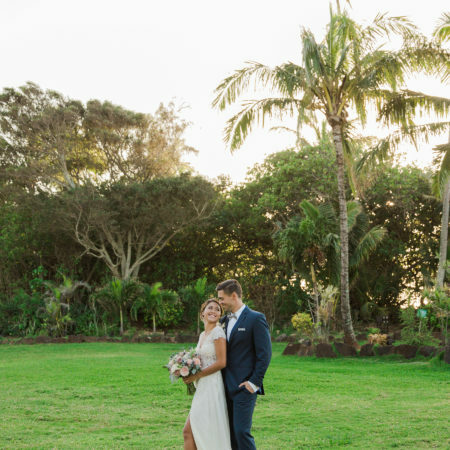 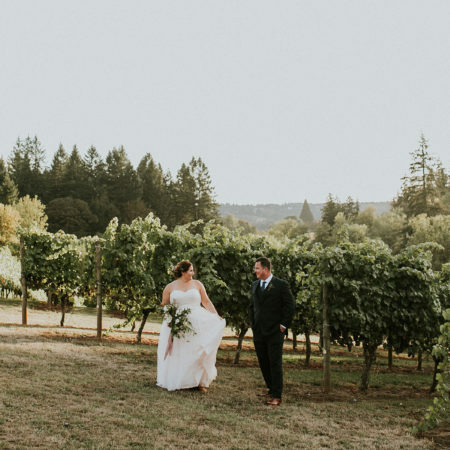 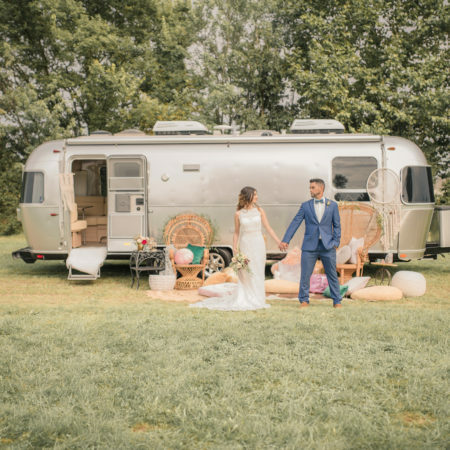 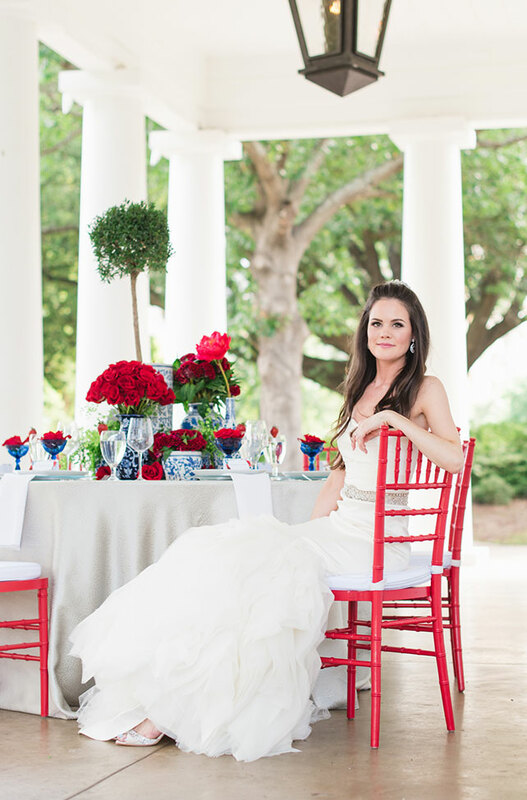 By choosing an exquisitely textured and wonderfully understated linen from BBJ Linens, the red white and blue wedding came together flawlessly. 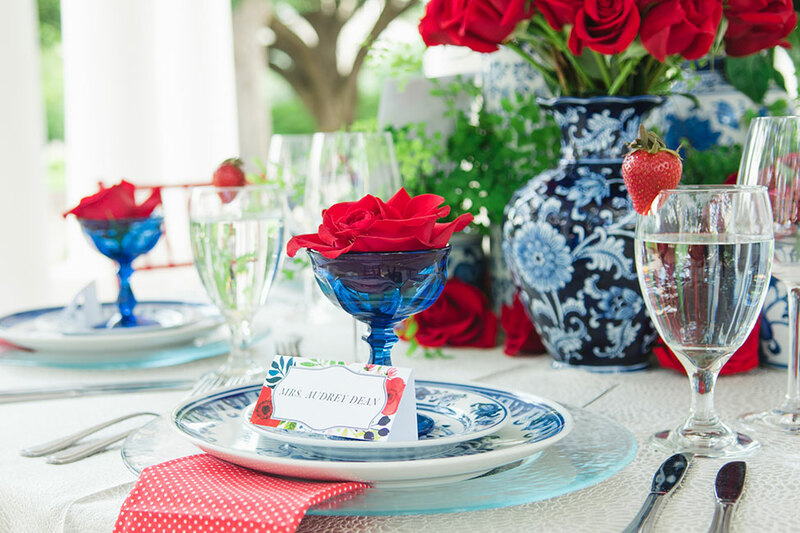 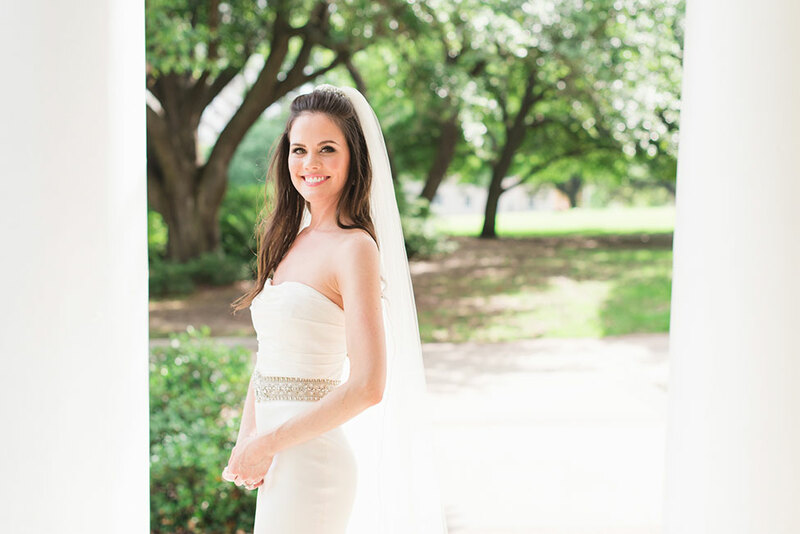 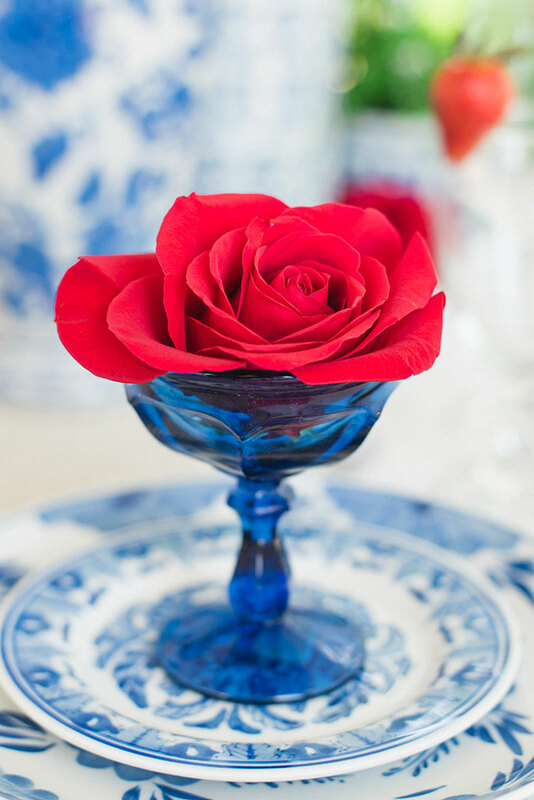 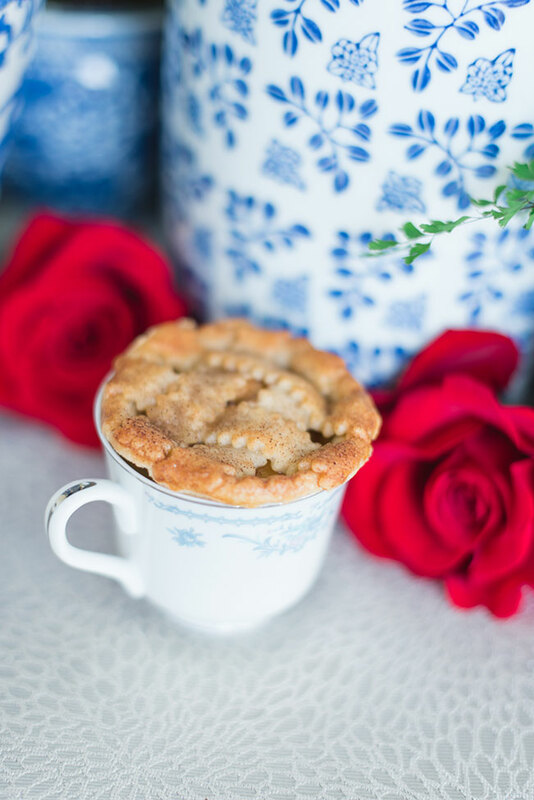 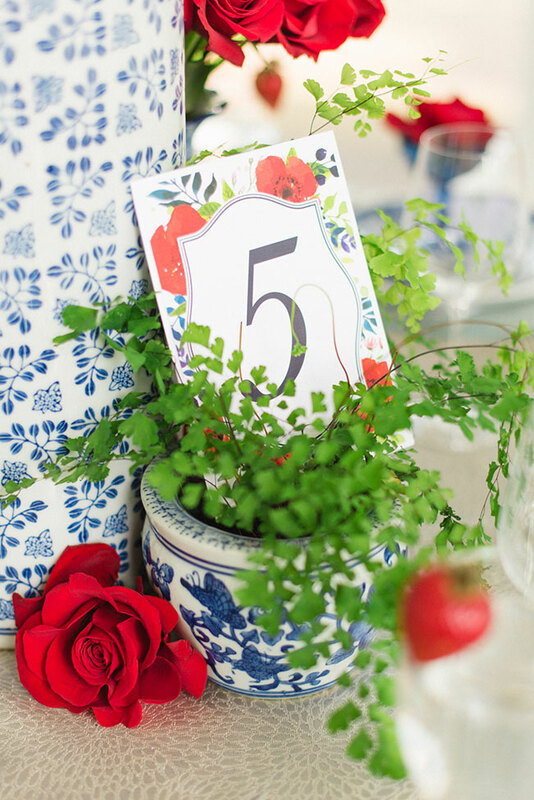 Texas wedding photographer Jennifer Crenshaw Photography did a terrific job capturing each little detail that went into this dreamy July 4th inspired shoot, from blue glassware filled with rose blooms to a personal favorite, pie covered mugs of sweets! 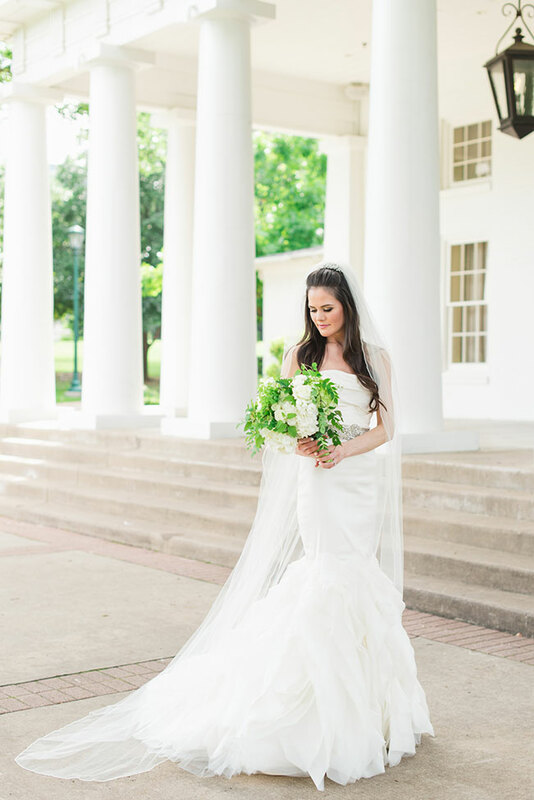 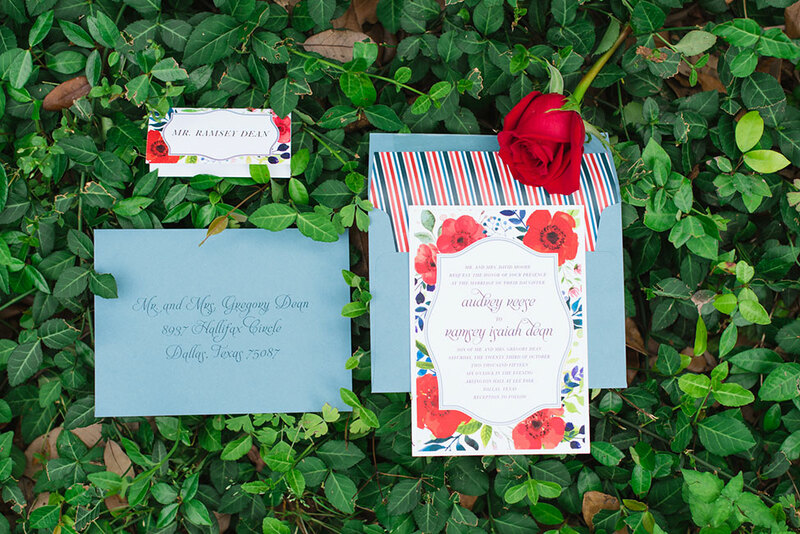 The mix of patriotic pride meets refinement is key, making this gorgeous wedding inspiration well beyond a singular holiday!